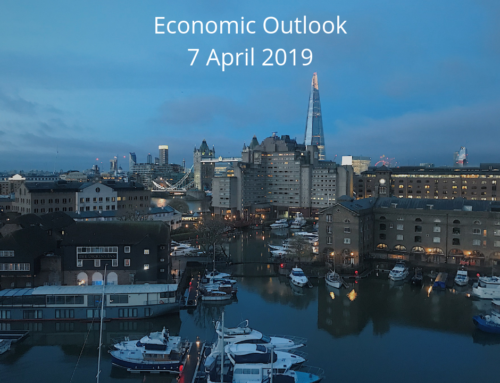 The second estimate for US GDP revealed a faster pace of economic growth than first estimated, with the annualised growth rate quickening slightly to 4.2% in Q2. The details also offered additional colour on the state of the economy at this late stage of the cycle and, with some exception, those details were broadly positive. In terms of “new” details, the second GDP release offers the first look at corporate profits. While there is already some positive inklings from the individual company earnings reports, the official figures here for the aggregate economy were solid. Pre-tax profits grew $72.4 billion over the quarter, nudging the overall pre-tax profit level to $2.2 trillion, a record high for the series. US consumer spending was still stellar in the second quarter, growing at a 3.8% annualised clip; the first estimate had a 4-handle. The slight downward revision here does not shake the sentiment that consumer spending will continue to support growth in the second half of the year. The Conference Board’s measure of consumer confidence rose 5.5 points in August, with gains in both present and future expectations. Current optimism continues to be a reflection of the tightening labor market, as the share of consumers stating jobs as plentiful was little changed, and those who see jobs as hard to get fell 2.1 points. The August University of Michigan’s measure of sentiment slipped to its lowest level since January. Consumers feel better about their current financial situation than their expected situation, as inflation appears to be a growing concern. US real disposable income was up 2.9% over the past year in July. The tight labor market conditions showed up in the personal income and spending report for July, where there was a sustained strength in wages and salaries, which were up 0.4% for the second consecutive month. July spending increased 0.4%, which offers some affirmation that steady consumer spending carried into the current quarter, though the pace of spending may slow somewhat in the second half of the year. The year-on-year rate of PCE inflation rose to 2.3%, the fastest pace in six years and in line with the Fed’s target. Provided a decent August jobs number reading next week, the Fed is on track for another hike at its 26th September meeting. The United States, Canada and Mexico are rushing to conclude a renegotiated North American Free Trade Agreement in order to meet the US Congress’ legislative timetable before year-end. The US has reached a deal with Mexico to amend the 1993 trade pact, but final details of an agreement with Canada have yet to be worked out as of this writing. Elsewhere, the European Union said it may drop automobile tariffs if the US does the same, though US president Donald Trump has thus far been unreceptive to the overture. In a wide ranging interview on Thursday, Trump threatened to withdraw from the World Trade Organisation unless the body undertakes reforms. Additionally, Trump threatened to impose the additional $200 billion in tariffs on China as soon as next week. US stocks recorded solid gains for the week, helping bring most of the major indexes to all-time highs. The technology-heavy Nasdaq Composite Index performed best and crossed the symbolic 8,000 threshold for the first time, while the narrowly focused Dow Jones Composite Index lagged and remained roughly 2.5% off the highs it established early in the year. Relatedly, technology stocks outperformed within the S&P 500, and growth shares built on their substantial lead over value stocks for the year to date. Financials and telecommunications shares lagged. The yield on the benchmark US 10-year Treasury note was roughly unchanged for the week. The municipal market continued to struggle from a lack of liquidity, due both to lighter new issuance and a lack of buyers ahead of the holiday weekend. Nevertheless, the few issues that did come to market were met with solid demand, and the secondary market saw a particular flurry of activity late in the week in longer-maturity health care bonds. The US August jobs report is out on Friday. It is not as important as previously, as the Fed seems on track to deliver two more hikes this year. Average hourly earnings likely rose 0.2% month-on-month, which would leave the annual growth rate unchanged at 2.7% year-on-year. Nonfarm payroll likely rose 200,000, making up for some of the disappointment in July. The unemployment rate was likely unchanged at 3.9%. The ISM manufacturing is out this week. It has been very high for a long time compared to both hard data and the Markit PMI manufacturing index. ISM is likely to fall over in the coming months and the index is expected to be 57.3 in August versus 58.1 in July. Eurozone annual consumer price inflation for August decreased slightly to 2.0%, from 2.1% previously. The outcome was perhaps rather unsurprising after softer German HICP inflation data yesterday. The decline was driven by core prices, as annual core HICP inflation also dipped to 1.0%, from 1.1% previously. There is still therefore little sign of core inflation picking up, while the base effect in H2 2018 from increasing energy prices in H2 last year will act to dampen headline inflation for the reminder of the year. A modest, positive shift in tone was heard this week in the ongoing Brexit negotiations between the United Kingdom and the European Union. Markets had increasingly been preparing for the possibility that the UK would leave the EU next March without having a deal in place on the future relationship between the two. Comments on Wednesday from EU Brexit chief negotiator Michel Barnier that the EU was proposing “a partnership with Britain such as has never been with a third country” set off a short-covering rally in the pound as hopes for a deal increased. Those hopes rose further on comments from French president Emmanuel Macron that he envisions a Europe of concentric circles with the EU at its core and Britain in a second ring. However, Barnier backtracked on Thursday, saying that the UK should prepare for the possibility of a no-deal Brexit. Early in the week, British prime minister Theresa May said a no-deal Brexit would not be the end of the world, and repeated that no deal is better than a bad deal. Meanwhile, a mid-October target date to finalise an agreement has been postponed until mid-November. A “hard” Brexit without an agreement has been one of the risks that have led to 25 straight weeks of outflows from European equity funds, according to Bank of America-Merrill Lynch. The outflows have wiped out all of 2017’s inflows. Italian budget worries, unimpressive economic growth, trade tensions, and the rise of nationalist parties have also put pressure on European stocks this year. Italy remained at the centre of concerns in the eurozone as the country’s deputy prime minister said the government may breach the EU’s 3% deficit limit if that is what is needed to increase investment spending and spur the economy. The yield on the 10-year note rose to 3.24%, near its peak hit in late May, when the eurosceptic administration came to power. There are no market movers in the euro area this week. British consumers appear little fazed by the possibility of a no-deal Brexit, but businesses have turned more worried, surveys showed on Friday. Britain’s headline gauge of consumer confidence, compiled by market research firm GfK for the European Commission, rose to -7 in August from -10 in July, matching 2018 highs struck in March and May. British house prices grew by a weaker than expected 2.0% in August, mortgage lender Nationwide said, slipping back to a level last seen in June when prices rose at their slowest in five years. The slowdown is the latest sign of how the housing market has slowed since the 2016 Brexit vote. In the UK, the House of Commons returns on Monday 3 September after a long holiday. Brexit will probably start to dominate the media coverage again ahead of the end-game in Q4. GBP is likely to remain weak and volatile until the Brexit situation becomes clear. UK PMIs for August are due this week. There have been early signs of a stabilisation in the euro area manufacturing sector, which should be reflected in the UK sector as well. The PMI manufacturing sector likely rose to 54.5 from 54.0. The confidence indicator suggests PMI services should remain broadly unchanged around 5. The People’s Bank of China altered how it manages the country’s currency this week, reintroducing what it calls its “countercyclical factor,” a method that it used for much of 2017. While it is difficult to discern how this approach works, the result of its implementation in 2017 was a stabilisation in the yuan’s exchange rate. Analysts see the reintroduction of the tool as a signal from China that it will not use the yuan’s value as a weapon in the ongoing trade conflict with the US. There are no market movers in China this week. Sources: Wells Fargo, T. Rowe Price, Reuters, Handelsbanken Capital Markets, MFS Investment Management, TD Economics.